High-stakes politics, luxury hotels, drug czars, and money launderers. . . four men—one dark secret. 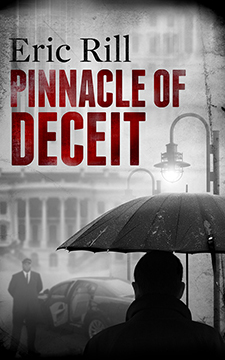 Pinnacle of Deceit is the highly accomplished debut thriller from Canadian author Eric Rill. Set in the gilded world of luxury hotels, high-stakes politics, drug czars, and money launderers, it follows the astonishingly successful lives of four men who share a dark secret from their troubled past in an Arizona orphanage and a sadistic killer bent on hunting them down. As the plot surges through the glamour capitals of the world to its shocking conclusion in Montreal, the price which the relentless pursuit of wealth and power can extract is made devastatingly clear.